We offer an ample range of highly reliable and safe Wastewater Treatment Chemicals. We have carved a niche as one of the salient Sewage Treatment Chemicals Manufacturers and Suppliers, based in India. 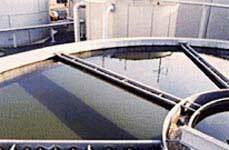 Our Wastewater Treatment Chemicals are extensively used in various industries. These industrial Wastewater Treatment Chemicals and Water Treatment plant resins provide excellent performance and clean the waste water efficiently and quickly.